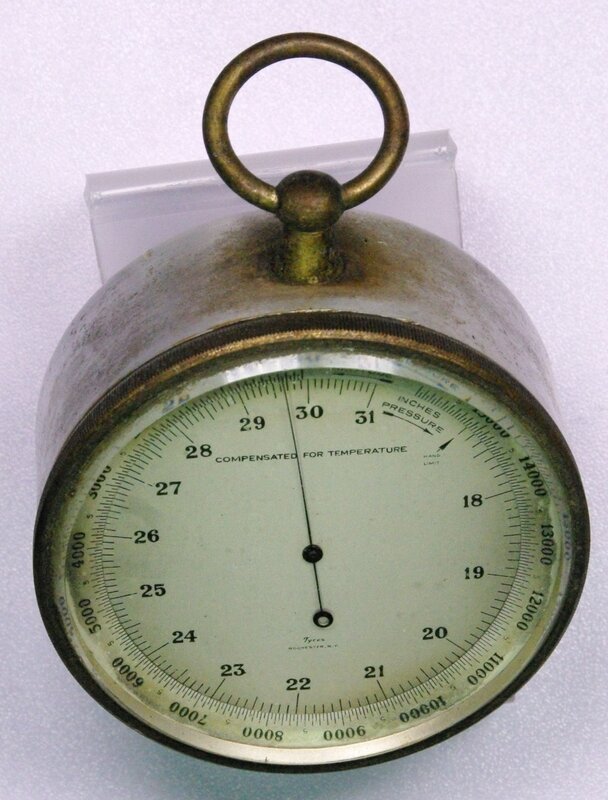 ​This Tycos 2075FK pocket altimeter is shown in Tycos/Taylor catalogs for 1926, 1929, 1936, and the 1950s. The 'Tycos' logo (instead of 'Taylor') indicates that this unit dates from 1932 or earlier. It will measure barometric pressure down to 17.2 inHg, or elevations up to about 16,000 feet. 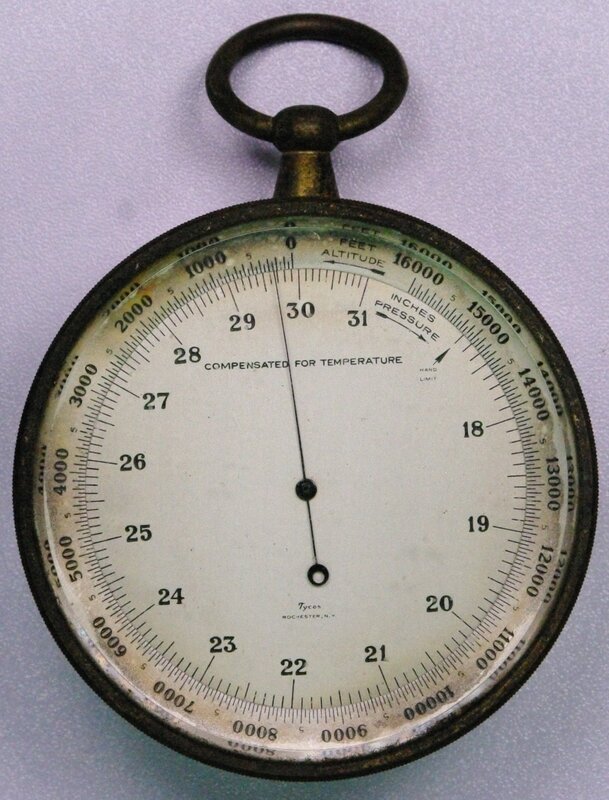 The dial is 2.75 inches in diameter The altitude scale can be rotated by rotating the ring surrounding the dial face. Go to the Tycos catalog page.